I love a classic railway hotel. There's something about a place steeped in retro style and a full history that draws me in entirely. After a $305 million dollar renovation to the main building, beach club and a spa addition, our jaws could not stop dropping in awe from the moment we entered The Four Seasons Biltmore in Santa Barbara. Built in 1937 as an oceanfront hotel by The Biltmore Company, the hotel went bust during The Great Depression and was auctioned off just two years later in 1929. 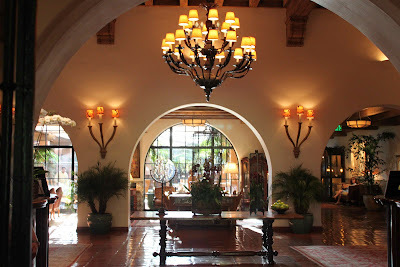 The current owner is Ty Warner, the creator of the Beenie Baby and now a visionary hotelier who owns The Four Seasons Biltmore and The Four Seasons, New York. Warner has invested wisely in this breathtaking property with painstaking detail which results in what truly is a modern restoration. 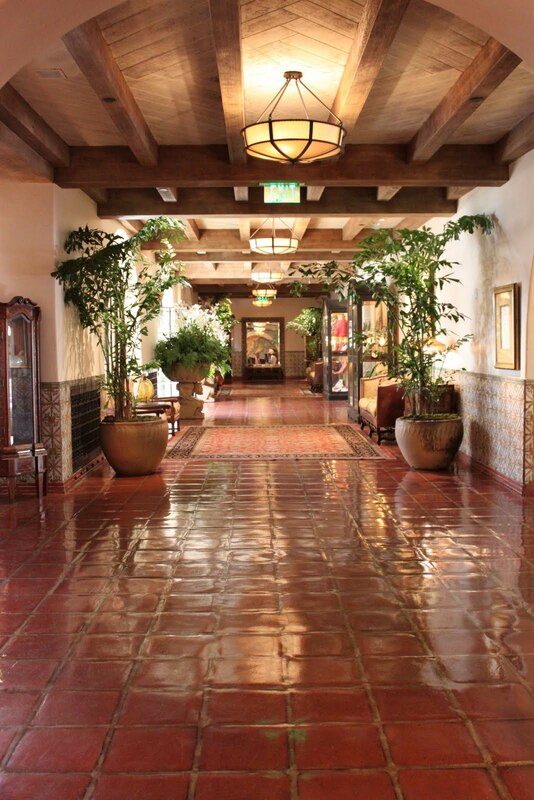 The Santa Barbara property is managed by The Four Seasons, but has chosen to also keep The Biltmore name. 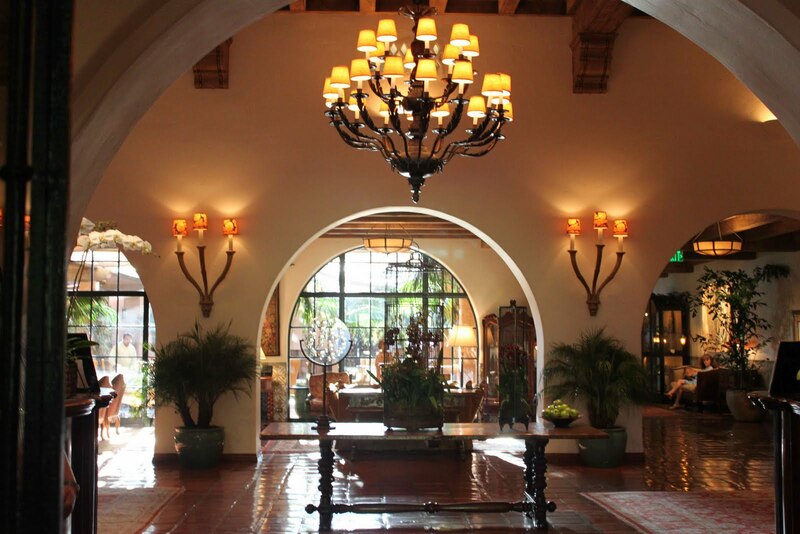 The entrance is full of warm lighting, curved archways and large rustic furniture. 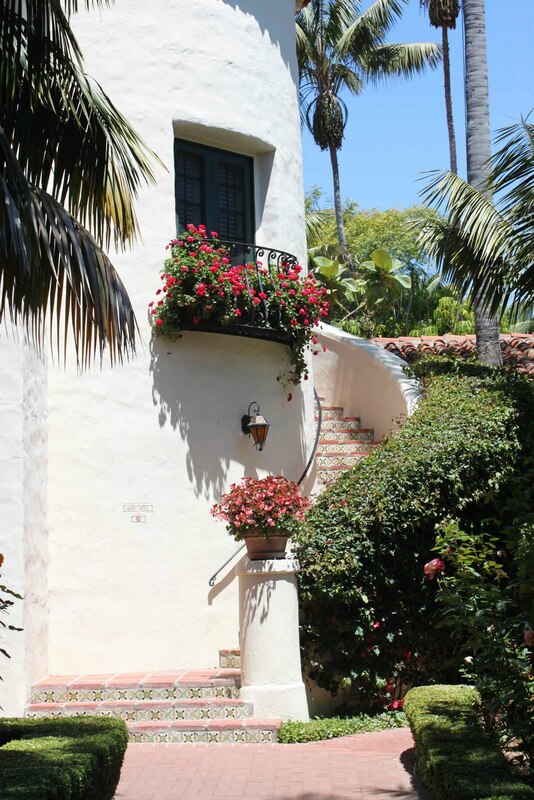 The hotel is also a hotspot for celebs and VIPs and recently hosted Kim Kardashian's wedding guests for her big blowout celebration in nearby Montecito. 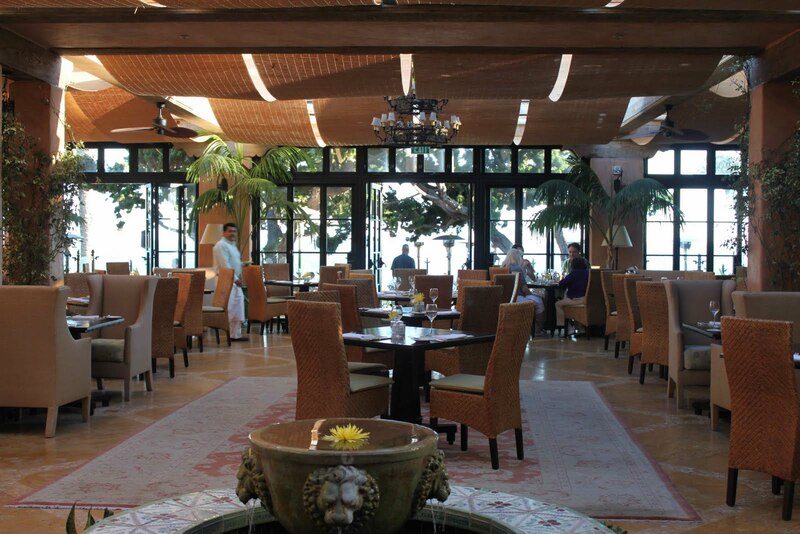 One of the gems of the resort is The Coral Beach Casino and Cabana Club located right across the street. 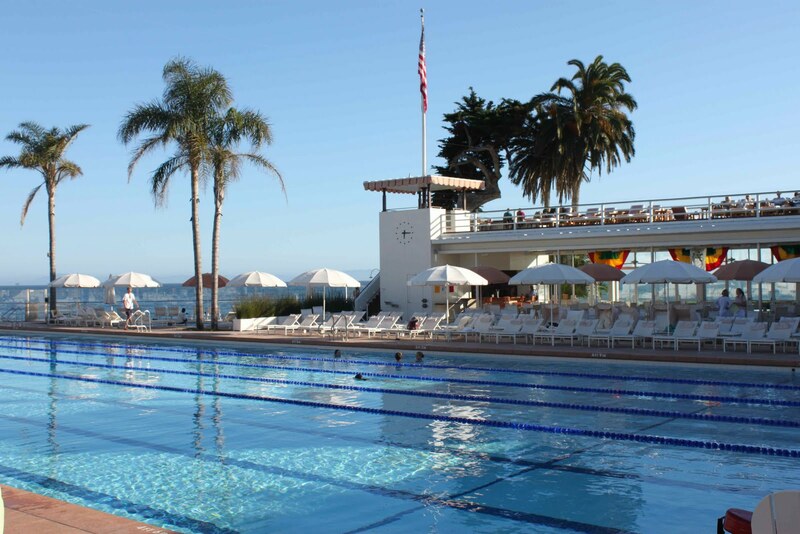 The facility is not an actual casino, but an outdoor beach club with an Olympic-size pool, diving board, fitness rooom, lounger chairs, poolside service, ping-pong tables, hot tubs, sauna, steam room and easy access to the beach. 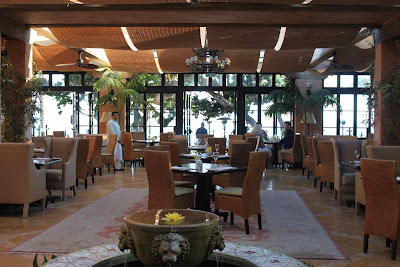 Guests of the hotel have access to the beach club and local residents can purchase memberships. It was easy to spend a whole day here relaxing with views of the ocean and pool. 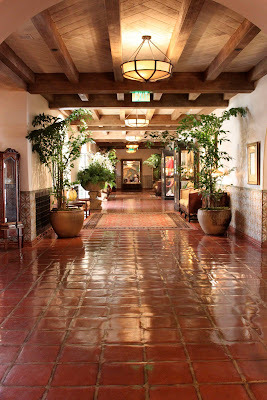 The Four Seasons Biltmore has 207 rooms spread over 20 acres. We never felt crowded and everyone seems to have lots of room to spread out. We had this luxurious 'Deluxe Fireplace Room' that overlooked the garden and came with a huge soaking tub and Spanish-tile bathroom. 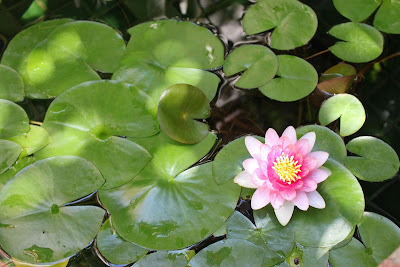 The hotel also has its own pool and gym facilities attached to the spa. 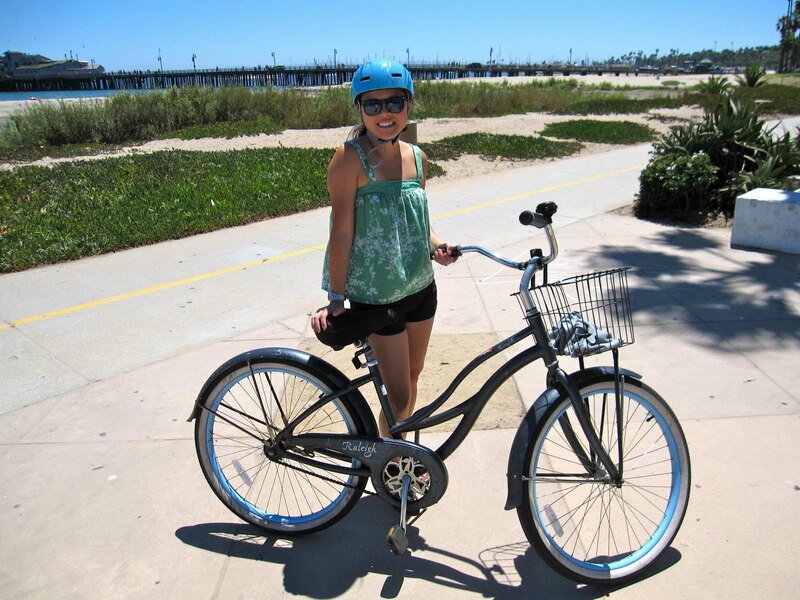 I took one of the complimentary beach cruiser bicycles for a ride along the ocean. The bike ride to the main waterfront took about 10 minutes or so. From there, a dedicated bike trail took us all the way to Stearns Wharf, where we locked up and went for scenic stroll over the water. State Street is the main hub and a short walk from the wharf with lots of great shopping and restaurants. 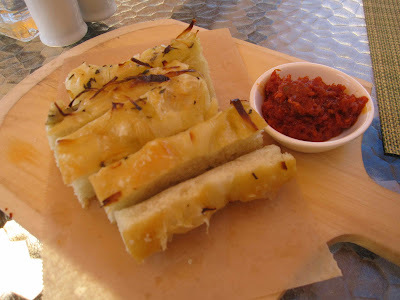 The patio at Bella Vista restaurant has a clear and unobstructed view of the water and was the perfect place for lunch. The restaurant was originally an outdoor courtyard that was converted over with a retractable glass roof, letting in lots of natural light. It makes you feel like you're still dining outdoors. The Grilled Kobe Skirt Steak Sandwich did not disappoint. It was topped with arugula, bell peppers, provolone cheese and caramelised onions. 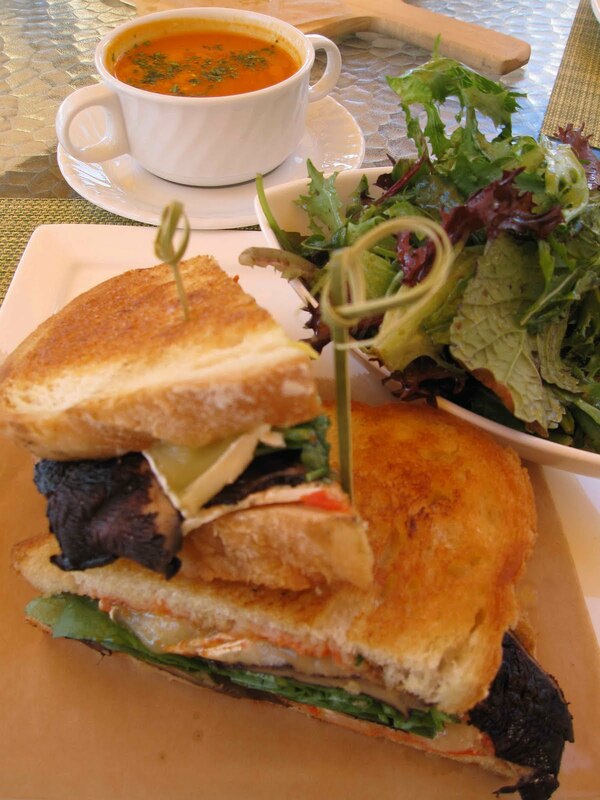 The Portabello Mushroom Grilled Cheese came with generous pieces of brie with watercress and tomato spread on country bread. What's a grilled cheese without tomato soup? I love the Biltmore! Such a great area and the beach across the street is to die for! The service was excellent and our rooms were just as good as well. I would love to stay here again! So expensive though! The last time I was in Santa Barbara I stayed at the Sandman Inn (www.thesandmaninn.com). So budget friendly and after a long day out the best place to be is right by their amazing pools! The Biltmore's restaurants is seriously one of the best I have ever been to. 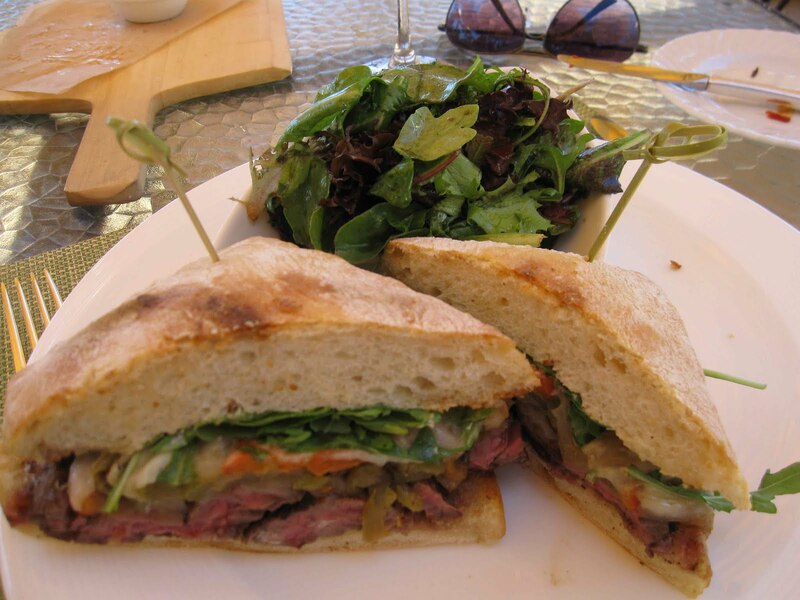 Their lunch menu is to die for and everything is good, so the biggest problem you have should be on what to choose! I've never stayed at Biltmore sadly, so expensive, but I have had dinner and spent time there and it was so pretty. The beach across the street is also really nice, there was always so many people there! 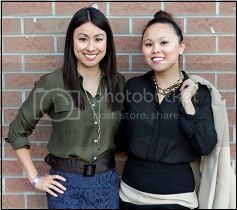 I tend to stay more outside of Santa Barbara to save money but get the elegance at the same time. 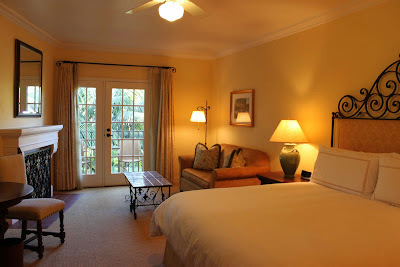 The South Coast Inn (www.goleta-hotel.com) is the place for me.